Christmas is Christmas. Everyone just needs to accept it and move on. There is definitely a movement of opposing the true meaning of Christmas going on, and to the folks perpetuating it, Christmas is just the High Holy Occasion for said hate. Last year, in New York City, atheists paid good money to put up billboards at Christmas espousing the holiday as a “fairy tale.” The celebration of the Messiah who changed the landscape for all mankind draws ire from those who don’t know Him. I get it. But I have a truly revolutionary idea, which I put into practice all the time. You won’t believe it, it is such a crazy-radical idea! At Hanukkah, I don‘t light a Menorah. At Ramadan, I do not fast. On special atheist days (such as “Tuesday”) and Santeria holy days, I do nothing to commemorate them. I do not own a statue of the Buddha. I appreciate nature, with no regard whatsoever to paganism. And although I like reggae music, I do not follow one single Rastafarian tenet. I also don’t recognize the Summer/Winter Solstices, or celebrate the ascension of ‘Abdu’l-Bahá. Because, you see, I’m not Jewish or Muslim, pagan or Hindi. I am not Buddhist, or Rastafarian, or an atheist. 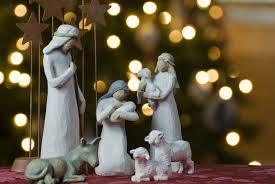 I believe with everything that God poured himself over bone and under skin to be born in a humble manger. I believe he came to walk around in flesh, so that he could (a) know what the human condition feels like, and (b) give himself as a living sacrifice for all mankind. Jesus was revolution incarnate. So, you can see why the birth of that savior is a big deal to Christians. As a revolutionary thinker, I just don’t celebrate the holidays that are not meaningful to me. I don’t insist that members of other religions alter their icons of celebration so that little crosses are part of their displays. I don’t ask that they change their traditions to suit my skepticism and faith. I don’t ask that they homogenize the teachings of their prophets, so as not to offend my delicate spiritual sensibilities. I would have no right to insist upon these things – to change an entire religious celebration for ME! Because I am JUST. THAT. SPECIAL. I wouldn’t think of demanding that they light candles on alternate nights, eat a mid-day meal, or “don’t stop believing” (I couldn’t help it) because those ways are not my ways. How arrogant that would be of me! But I would defend the traditions of either of those groups, and even of atheists – yes, atheists! I defend their right to NOT celebrate MY religion, it’s tenants, OR it’s holidays. Crazy, right? It’s kind of the American Way, religious freedom. In return for my not imposing my beliefs (or non-beliefs) on you – like I’m doing you a favor there – I ask that you extend the same to me. You know, the whole Golden Rule idea. It’s an idea that has roots in Judeo-Christian origin, not that its okay to mention that in polite society. If Christmas has no meaning to you, don’t celebrate it. But how arrogant of you to ask that those who do change the very definition of the occasion. If it offends you to be wished a “Merry Christmas,” I feel kind of sad for you. The message of Christ is and was love, and Christmas a celebration of goodwill toward men. If it pains you to respond, “And Merry Christmas to you,” perhaps you are not as enlightened and tolerant as you fancy yourself. If you begrudge Christians the right to celebrate the birth of the savior, all you manage to change in the hearts of Christians is their resolve to keep Christ in Christmas. You do not – by displaying a hardened, offended spirit – change the fact that God came in the form of a human being, changed the course of history one life at a time for over two thousand years now. You will not change our hearts. Would your heart change if you passed along the goodwill that Christians celebrate at Christmas, by not insisting that the single most important event in history to millions of people be watered down to assuage those who don’t believe? I would rather Jewish, Islamic, and yes – even atheists! – celebrate their respective religions (or lack thereof) full-on without watering down their traditions to please me. Don’t tread on my Christ. Don’t tread on my Christmas. And Merry Christmas. Welcome to the resistance. Jana I stand with you in the resistance. One of the founding tenets of this country was religious freedom. I believe Jesus paid the ultimate price for my freedom to believe he is the one true Saviour and I refuse to cheapen that by saying Happy Holidays instead of Merry Christmas. Let the grinches grumble all they want. I was at a service station recently that I have gone to for years and I commented on the Christmas season. The clerk who I have also known for years just smiled and I immediately realized he does not celebrate Christmas but instead celebrates Ramadan. I knew this and had forgotten – BUT he did not get offended or protest and I did NOT apologize. He just smiled and said he was enjoying the season and I wished him well in his own religious season. And that’s just how it should be. Right, Tina? What has happened to live and let live, even? Merry Christmas, sweet lady.